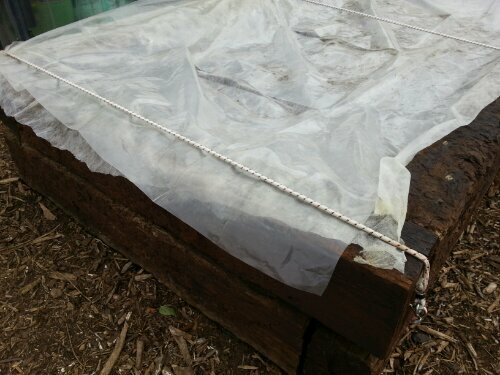 One of the (many) things I enjoy about community gardening is the way we can try out different ideas and techniques, as well as see how fellow gardeners reuse or recycle. Community gardens by nature are generally short of funds so gardeners are great at adapting “stuff”. 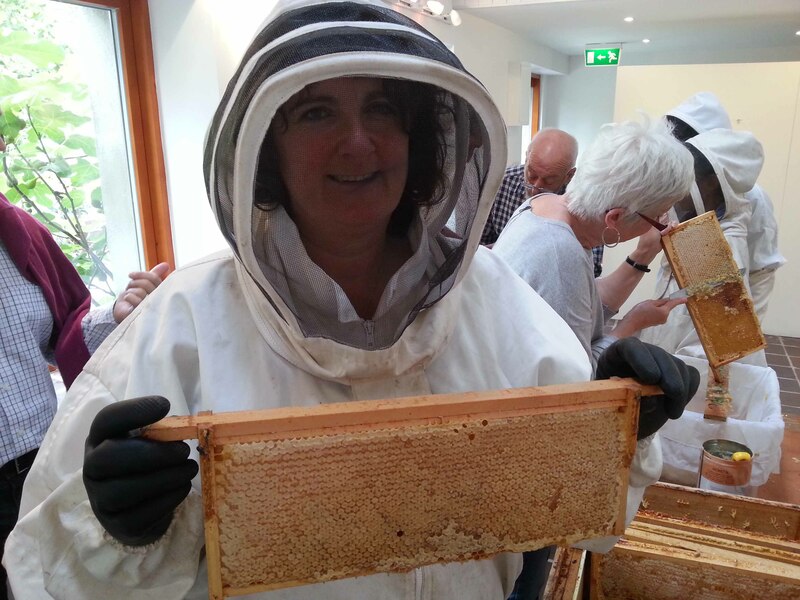 In Goresbridge community garden we’ll be trying out a few ideas we’ve seen online to highlight what can be grown in a relatively small area. We’ll report back how we get on with them. 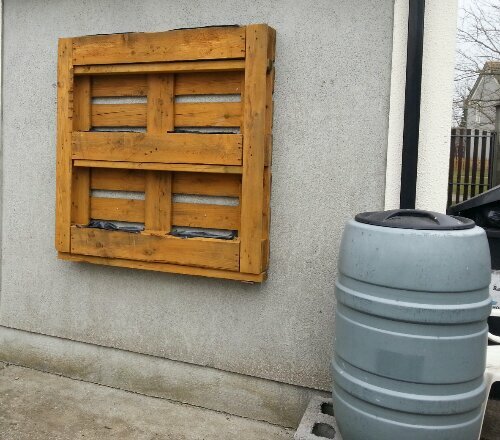 First off, with huge thanks to Colette’s husband Peter, we now have a vertical pallet garden on the wall. 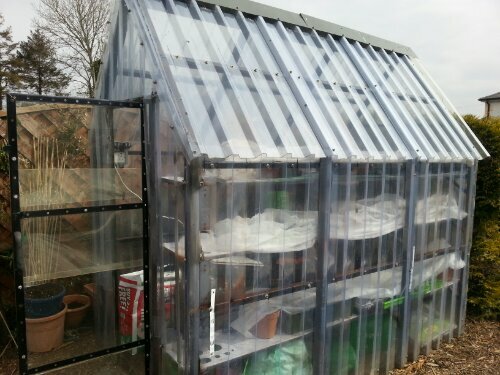 We started filling it with strawberries this morning and will add colour in the form of nasturtiums and perhaps salads over the coming weeks. 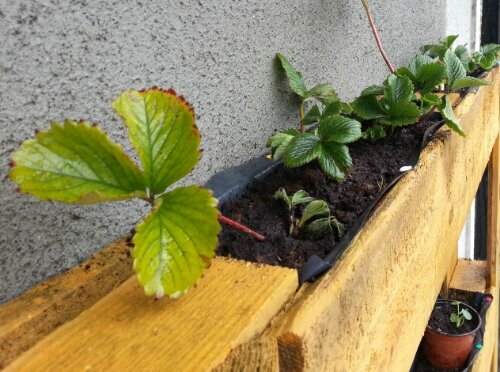 We have lots of strawberry plants this year so if you’re a regular follower of the Goresbridge garden posts you’ll start to notice them in all sorts of places. 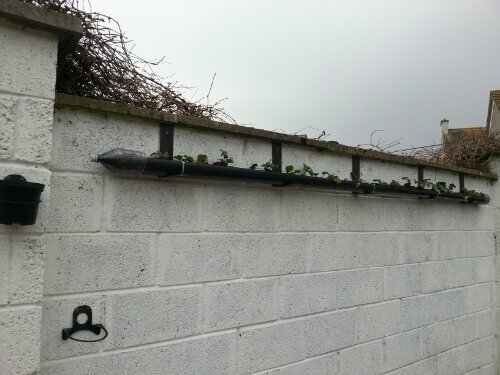 Here we’ve planted some up in guttering that’s been affixed to the wall (Peter is a marvel) and are on the look out for more. We’re curious to see how much watering they’ll need but have a good rota of people so hopefully this won’t be a problem. Bungies keep most things secure! 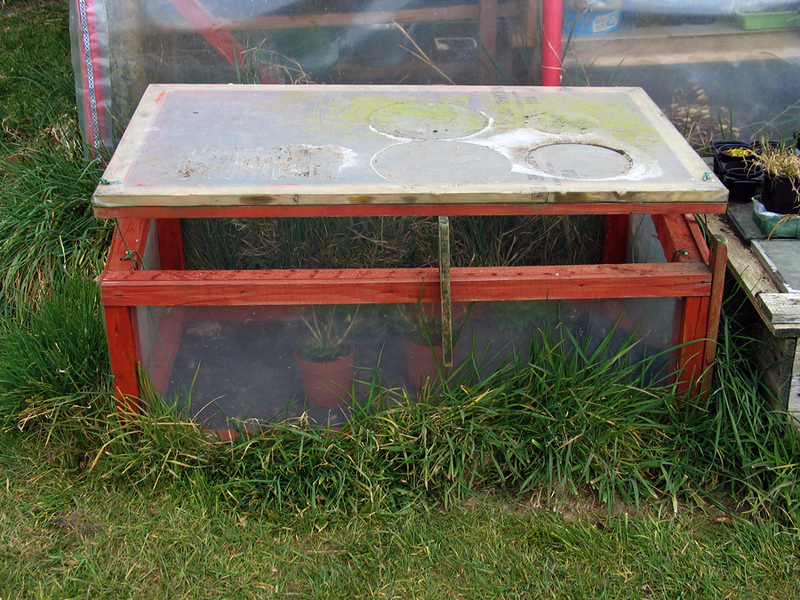 I especially like Imelda’s greenhouse that’s full of seedling’s under fleece right now. Ollie built this using clear plastic sheeting and other bits and bobs at a fraction of the price of a flat pack alternative. 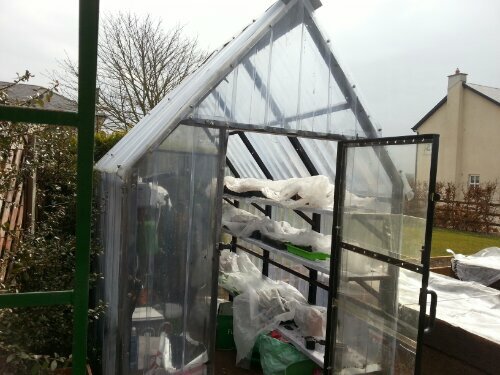 I’ll keep you posted of other ways the gardeners come up with to reuse/recycle over the coming months.